Display technology has progressed at a rapid pace in recent memory yet surprisingly, such advancements haven’t transitioned to movie theaters. 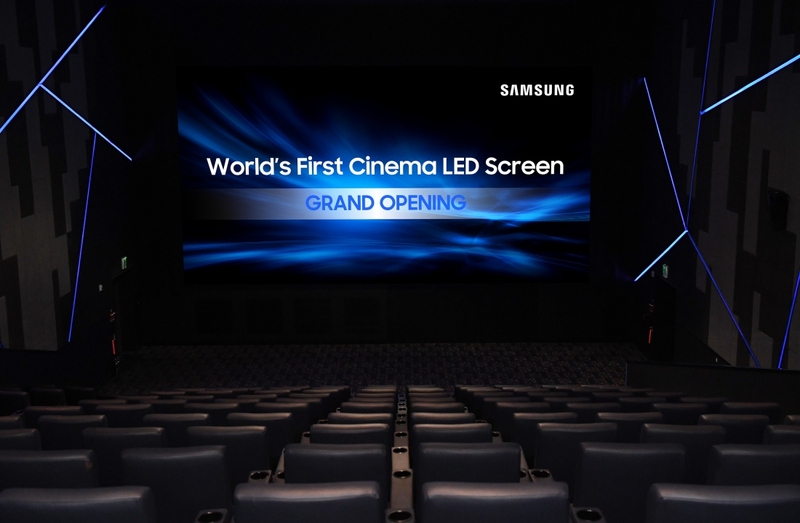 That all changed on Thursday as Samsung announced the installation of its first ever commercial Cinema LED Screen. The display, installed at Lotte Cinema World Tower in Seoul, South Korea, measures 33.8 feet wide and sports a 4K resolution of 4,096 x 2,160. The HDR-capable screen boasts a peak brightness level of 146fL which Samsung says is nearly 10 times greater than a traditional projector. The Cinema LED Screen was first unveiled in March and demonstrated at the Cinemark Century Orleans 18 and XD Theatre located inside The Orleans Hotel & Casino in Las Vegas. Samsung said it subjected the display to a series of industry tests to validate its performance and presentation. In May 2017, the Cinema LED Screen became the first product to achieve full compliance with the highly-esteemed Digital Cinema Initiatives (DCI) theater technology standards, acknowledging its ability to showcase the complete color spectrum with unaltered accuracy. Perhaps one of the screen’s few shortcomings is the fact that it’s smaller than the average movie theater screen which can range from anywhere between 45 feet wide to more than 70 feet (IMAX). HS Kim, President of Visual Display Business at Samsung Electronics, said that through a combination of sharper and more realistic colors, complementary audio (from JBL and Harman) and an elevated presentation, the Cinema LED Screen makes viewers feel as if they are part of the picture.